has weighed in, sending Maxwell an email that triggered a lively online debate between the two. Salvaggio argued that the California Environmental Quality Act (CEQA) is being used (or abused) by a vocal minority to hold up the project. Salvaggio recalled at least two other times when CEQA was used to delay projects and told Maxwell: "But the thing you don't get is the 24th Street Widening Project is good for Bakersfield. It is a much-needed road improvement project. Why is this so? In short, 24th Street is well over its design capacity. It carries more traffic than all but one other arterial segment in the city with four lanes for traffic. The other 17 top arterials carry less traffic with six (6) lanes. 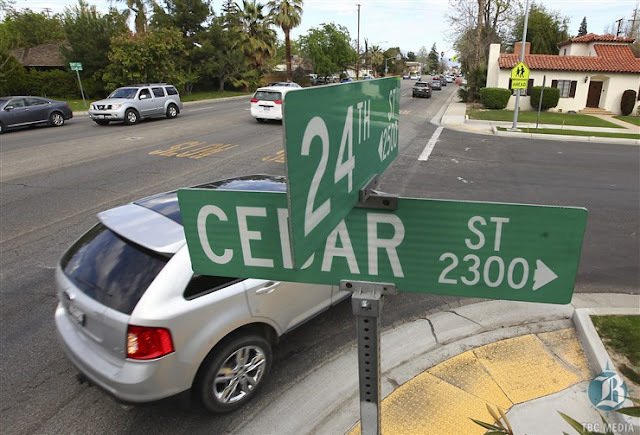 24th Street is also unsafe due, in part, to its traffic volumes, lacks controls over left turns and driveways which go directly into the travel lanes. Do you ever drive 24th Street? Or do you walk or ride your bike? It takes some navigation. You favor the Hageman flyover. So does everyone else. This road project is needed to provide an alternate and direct route from the Northwest into Downtown (our urban core) Bakersfield. Both of these important projects complement our efforts to improve circulation in metropolitan Bakersfield. The prevailing view is both of these road projects are needed." Maxwell, for his part, is holding firm to his opposition, seeing the project as a waste of taxpayer's money when there are cheaper alternatives. * ... BIRTHDAY: Karene Williams wrote to tell me that Hazel Ream celebrated her 100th birthday Sunday. A huge gathering helped celebrate the day at the local Moose Lodge in Lake Isabella. * ... RACQUET CLUB: I have been hearing some rave reviews for the new Match Point Grill in the Bakersfield Racquet Club coffee shop on Pine Street between Truxtun and 18th Street. This space has been occupied by a number of restaurants over the years, most recently Covenant Coffee. Operated by Catering Affairs, Match Point is open for breakfast and lunch Monday through Saturday from 8 a.m. to 2 p.m. Those living and working downtown, as well as club members, are thrilled to have another eatery option. Match Point is open to the public. 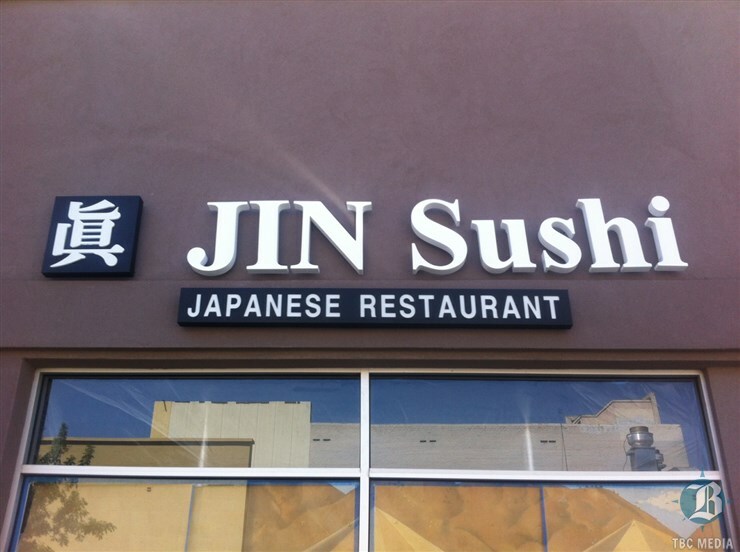 * ... SUSHI: Speaking of food, the new Japanese restaurant Jin Sushi is also getting some good reviewers from downtown diners. Located next to the Metro Galleries at the corner of Eye and 19th streets, Jin Sushi has only been open a few days but has gained a small but loyal following. Let's hope the place can maintain its service and quality of food. * ... APW: The Association of Petroleum Wives is holding a "Welcome Back" party this Saturday at the Metro Galleries on 19th Street. Ladies whose husbands are employed (or retired from) the petroleum industry are invited to attend to join or renew your membership. The event kicks off at 6:30 p.m. with live music, food catered by Chef's Choice Noodle Bar. Call Lynn at (661) 301-0907 to make reservations. * ... MEA CULPA: And finally, my sincere apologies to Kim McAbee Carter, whose last name I butchered in a recent column. 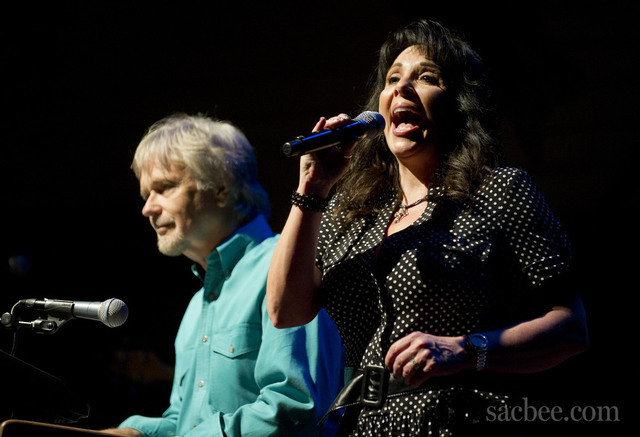 Kim is an accomplished country music singer who, along with husband Kyle Carter, are building the Bakersfield Music Hall of Fame.